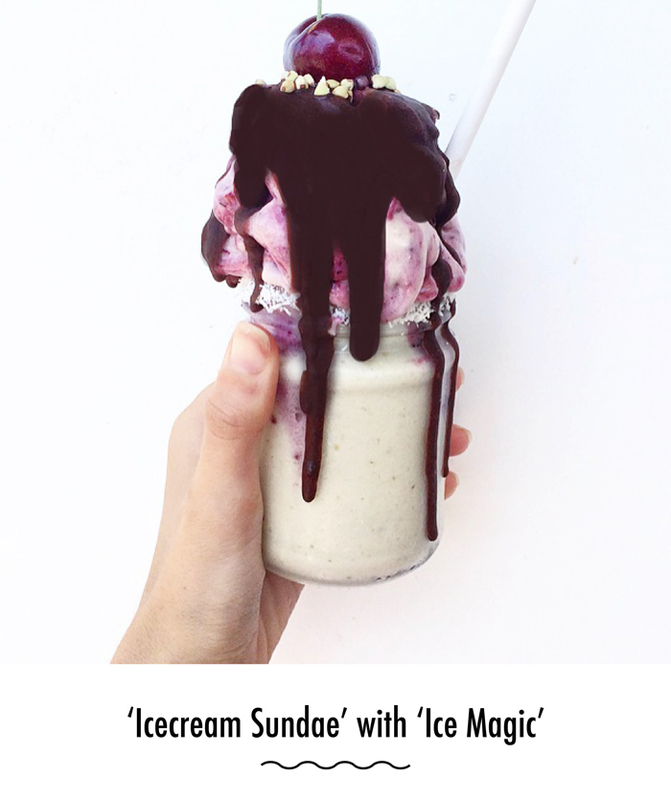 "Icecream Sundae" with "Ice Magic"
Summer brings those intense cravings for refreshing sweet treats. 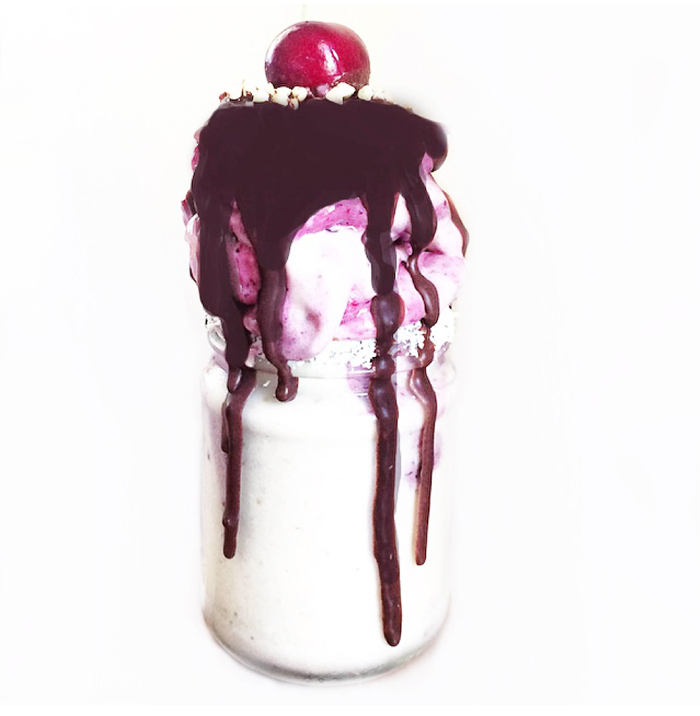 Enjoy my fruity twist of the classic icecream sundae- even down to the ice magic! As always, it is 100% healthy and bursting with nutrition. 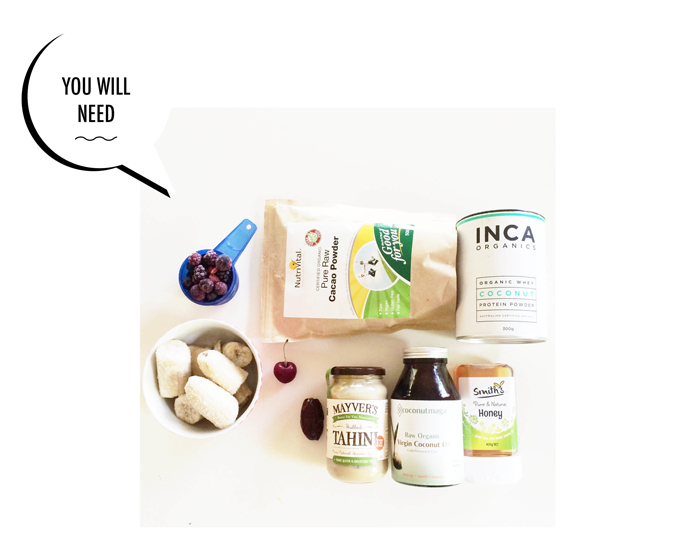 For the ice magic, stir all ingredients in a small bowl. Set aside. 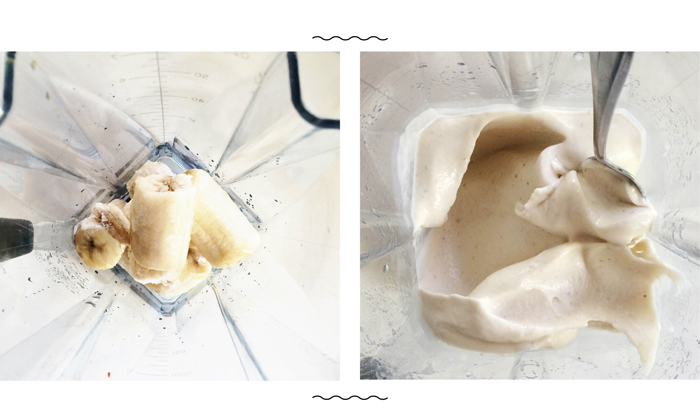 For the icecream, place the bananas, date, water and protein (if using) in a high speed blender. Blend on a high speed. The bananas may look crumbly. Just wait a few minutes for it to become smooth and creamy. 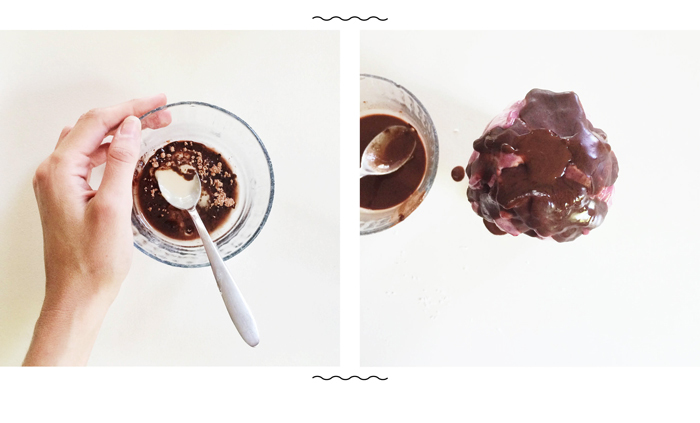 Pour ¾ of the mixture in a jar. Now add the berries to the remaining banana mixture in the blender and blend. Pour the rest into the jar. Slowly spoon over the ‘ice magic.’ As it runs over the cold icecream, it will begin to set. Place a cherry on top and sprinkle with buckinis if desired! Seems so yummy. I love to eat ice cream. Where I can buy this flavour? ?